New rules being enacted on August 31st define requirements for labeling your QA samples. Don't worry, we've got you covered. Simply fill out the form above and use one of the resulting images to print directly from your label printer. New rules for cannabis testing are taking effect on 8/31/2017. Ahead of these new rules, here at Confidence Analytics we have already been audited and certified by the WSLCB for the new test requirements to ensure you have a one stop shop you can rely on once the new laws take effect. Below are the details on how these rules will impact you. We encourage you to adopt the new sample-labelling now. We have added a label generator for QA samples to the login page on our website (https://client.conflabs.com/) to make compliance easy. The free sample baggies we offer also cover many of the new requirements, so be sure to pick some up at our office or ask your friendly CA driver! Green plant material (flower, kief, trim, etc), concentrates that involve any sort of solvent (CO2, ethanol, hydrocarbon, etc), and infused fats will have new required tests under the new law. The failure criteria for residual solvent testing and microbial testing are changing and the mycotoxin screening adds a new failure limit to be aware of. Stay tuned to your email, as more updates are coming in the next two weeks. Confidence Analytics has been approved for the new test requirements and certified by the WSLCB to perform them. We will be announcing new sample sizes, pricing, and other changes soon! In our continued mission to provide our clients with the most robust and comprehensive Quality Assurance available in the 502 marketplace, we'd like to take a moment to share with you a few new and exciting features we've recently added to our service at no charge to you. We'd love your feedback whether it's good, bad, or ugly. If you could take a few moments to complete the survey at the link below, we would greatly appreciate it. Confidence Analytics is pleased to announce that we are now hosting sample photos on our website. You can add the photo of your sample to your Certificate of Analysis by following these easy steps. 2. In your table of results, click the "Details" link on the left side to bring up the Certificate of Analysis. 3. Just above the Certificate of Analysis, there is a new button with the text "Click here for image on cert". 4. After click the new button, you should now see the sample photo on the certificate. 5. You can then click "Get PDF" to obtain a printable PDF with your photo included. Please note: Sample photos may not be available for all samples. Confidence has been working hard to add new terpenes to our terpene assay. Our routine terpene test now includes 27 of the most common terpenes in cannabis, more than any other routine terpene method in Washington! We will be adding more terpenes every month as we continue to dive deeper into the intricate detail of cannabis chemistry. Ever heard of hashishene? We've found it in 502 samples! Our CEO, Nick Mosely, has been working directly with the LCB via their Packaging and Labeling Advisory Panel in an effort to achieve some label relief. We are advocating for dramatic simplifications to the rules regarding packaging and labeling. In conjunction with the Cannabis Alliance, you can see our work in progress here. If you have questions or suggestions, we are happy to hear them. ■ As always, we continue to offer free sample transport to all corners of the state. ■ Fast turnaround to get your labels printed quickly. ■ Reliable results you can trust for monitoring your production consistency through time. ■ Experienced customer service staff available 7 days a week. We thank you for your continued business. If there is anything we can do to improve our service to you, please don't hesitate to ask. Our mission is to help our customers maintain compliance as they produce quality cannabis efficiently and with minimized risk. "Notwithstanding any other provision of law, the provisions of this subchapter related to marijuana shall not apply to any person acting in compliance with State laws relating to the production, possession, distribution, dispensation, or administration or delivery of marijuana." The new US Attorney General, Jeff Sessions, said at his confirmation hearing - that if the nation didn't want him to enforce federal laws on marijuana, then those laws needed to change in congress. Republican Congressman, Dana Rohrabacher of California has introduced H.R. 975, in which he explains that treating marijuana as a states issue is fundamental to President Trump's campaign promises to limit government, cut excessive spending, fight drug cartels, and bring jobs back to America. President Trump's statements on the campaign trail loudly and aggressively challenged the status quo. We haven't had someone here shaking up the status quo for a long time, but he did so by promising to revisit a whole host of failed Federal policies that have been crying out for attention for years and, in some cases, decades. Once such failed policy has been the U.S. Government spending billions of dollars and wasting the time of Federal employees--hundreds of thousands, if not maybe tens of thousands of Federal employees--in order to prevent adults from smoking a weed, marijuana. Candidate Trump told the voters this was an issue to be left up to the States, especially when it comes to medical marijuana. Congressman Rohrabacher’s bill is currently sitting at the Gov't. Publishing Office (GPO), and will be submitted to the House Committee on Energy and Commerce within a matter of days. There will be a massive movement across the country to get congressional representatives behind this legislation, and we must do our part here in WA State to get our congressional delegation on board. This is a bi-partisan effort that is long overdue, and it comes at a time when the Republican party really needs a win they can point to that upholds campaign promises. There are currently 12 house members that have co-sponsored the bill and NONE of them are from the WA State Delegation. We need to phone the WA State Congressional delegation to get on as co-sponsors. Especially important will be support from Representative Cathy McMorris Rodgers R-WA of the 5th District (that's the eastern 5th of the state, Spokane, Colville, Walla Walla). She is on the House Committee of Energy and Commerce, which is the committee this bill will need to pass before seeing vote on the floor. McMorris has historically not been friendly to marijuana, so we need to force the issue with her by flooding her with requests to co-sponsor the legislation from her constituents. Call Cathy McMorris Rodgers. Call your District Representative. You can find your congressional district here. Ask your colleagues and friends to call. More importantly: ask your vendors to call. Be honest about what district you vote in, but don't be afraid to call Rep Rodgers even if you aren't in her district. She should be looking out for all Washington citizens and businesses. "Hi, I'm a constituent of Representative _______________, and I applaud [her/his] work to protect the economic vitality of the State of Washington, while protecting state's rights, individual freedom, and business interests. 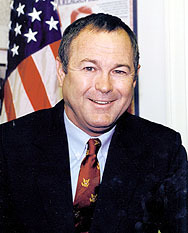 President Reagan's speechwriter, and current Republican Congress Member, Dana Rohrabacher, has introduced H.R. 975, which aims to provide common sense legislation to Respect State's Marijuana Laws to provide safe access to ill patients, while protecting state licensed business operators. Newly appointed Attorney General, Jeff Sessions asked at his confirmation hearing, that Congress act on this issue. Republicans from Florida, Kentucky, Alaska, Michigan, and California, as well as Democrats from Tennessee, Wisconsin, Oregon, Nevada, Colorado and California are stepping up to address this state's rights issue. I ask that you stand with them, and co-sponsor H.R. 975." Please join your colleagues in support for this long-overdue common sense legislation." Got PM? We need some. 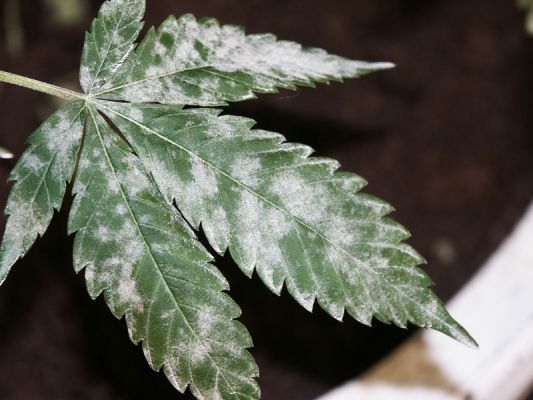 Confidence Analytics is partnering with an international manufacturer of biotech solutions to develop a fast, robust, economical, and highly-sensitive screening technique for powdery mildew and other Cannabis pathogens. We need samples that have high abundance of powdery mildew for the purpose of method development and validation. We are reaching out to the marijuana manufacturing community asking for samples of leaf tissue that contain positively identified PM. Samples should be submitted in sealed containers like jars or plastic bags, as per normal sample submission. Samples should be manifested in traceability as non-manditory lab samples. The results of our tests on these samples will not be made available to you. We will be using this material in-house for validation purposes only. Your contribution will help us develop a cost-effective and rapid screening tool in the near future. We appreciate your support as we continue to construct novel means of evaluating plant health and vigor. The purpose of this survey is to collect feedback from member businesses about the Traceability system and the rules related to Packaging and Labeling. The Cannabis Alliance is working with the LCB via two advisory panels regarding revisions to the rules concerning Packaging and Labeling and Traceability system vendor requirements. This is our opportunity to affect change in rule so that we may foster a safe and transparent industry without burdening businesses with unnecessary requirements. Answers to this survey will be kept anonymous by the Cannabis Alliance. Only aggregate data from the survey will be shared. The traceability system has been updated such that we cannot receive your samples in the traceability system if the transport manifest has not been transferred to our lab. Please remember to complete this important step before samples are sent. Our traceability interface does not allow us to see manifests or to know whether or not a manifest has been transferred. All we can do is attempt to receive the samples in the system. When the receiving step fails, we are greeted with a popup warning that the manifest has not been transferred and we are prevented from receiving the samples or entering results. The issue is resolved upon transfer of the manifest. Please be aware that we are unable to process or enter results on any samples for which the manifest has not been transferred. Also, when the manifest is transferred late, this must be resolved by a tedious and time consuming manual receiving process on our end. By taking care to be sure the transfer is complete before sending us samples, you can avaoid unnecessary delays in testing. Thanks for your patience, and for helping us to process your samples smoothly and efficiently! 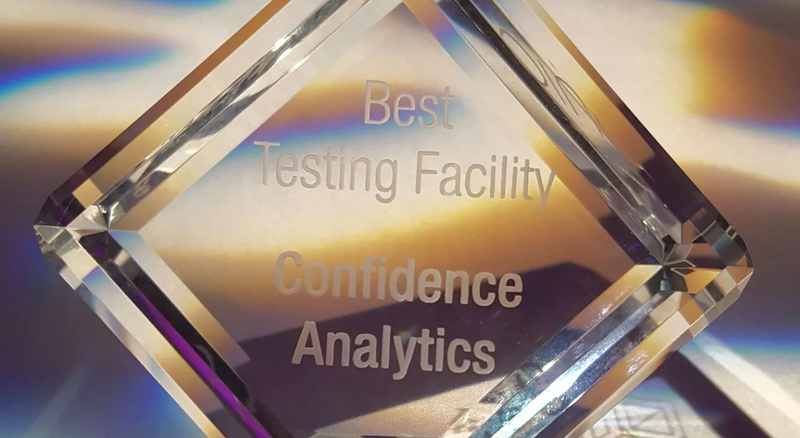 We at Confidence are honored to receive the 2016 DOPE Magazine Industry Award for Best Testing Facility. We are proud to have shared the list of category nominees with Integrity Labs, and Analytical 360, and we’re grateful for the efforts of Dope Magazine in their continued efforts and support of medical and recreational Cannabis across the country. It is a powerful thing to be recognized by one’s peers in this way, and it makes us take notice: as our industry continues to mature, it also continues to come together in very promising ways. Each day we talk to Producers and Processors, Retailers, and tertiary industry reps who recognize that this is the time when collaboration is more profitable and powerful than competition. This very notion is bringing participants together at every point in the supply chain; from soil engineer to retail consumer, we are beginning to solidify the long-term sustainability of our industry by working together. We thank all of you for your votes, but we are most thankful for your continued collaboration and efforts to make Washington’s Cannabis Industry the best in the nation. Who does the summit represent? Seattle, WA: On January 06th, 2017 The Cannabis Alliance will be hosting the 3rd Annual Washington Cannabis Summit, a day of progressive discussions around the complex world of cannabis. This year’s theme focuses on the Continuity of Prohibition and the Road to Normalization. Conversations will be reflective and provide critical analysis of the industry while exploring topics such as the potential policy impacts that cannabis legalization has, and will have, on the state and the nation. The vision of the Washington Cannabis Summit is that the speakers, along with the discussions developed around key topics, will both inspire and better connect individuals with professionals, public servants, academics and citizens who share a commitment to improving the burgeoning cannabis industry. With more and more states choosing to legalize, it’s important to have foresight, to look at long-term strategies in order to position Washington as a competitive and socially responsible contributor. We have the ability to make our current system better. This can only be accomplished by coming together, being visionary and by working with each other to create sustainable and successful industries. We invite you to join us in attendance to this historic event. We know that the solutions of tomorrow’s cannabis industry can only happen when the leaders of today come together in solidarity. Only one promise can be made to the individual attendee, you will be provided a distinct view of the future of cannabis policy. A view that can only be achieved once you’ve reached the summit. About The Cannabis Alliance: The Cannabis Alliance is a non-profit trade association that understands that the war on drugs has created misperceptions, mistrust and even fear about the industry and legalization. The Alliance seeks to change those perceptions and improve the business environment for our members and our communities, through education, advocacy, and helping set the highest possible industry standards. The only two cannabinoid numbers required to be present on the package label are Total THC and Total CBD, also known as THCmax and CBDmax, respectively. These numbers have the largest font of all the numbers on the certificate. In the footer, there is a description of how the totals are calculated. Please be aware that the Traceability system recently added a new value called "Total Cannabinoid" which is an incorrect name for the value associated with it. "Total Cannabinoid" as reported in Traceability is actually just a sum of THCmax and CBDmax. In contrast, the "Total Cannabinoid" value reported by Confidence is a raw sum of all cannabinoids measured and is intended to represent the raw weight of cannabinoids in the sample. Biotrack has admitted their mistake in naming the value "Total Cannabinoids" and we have been told they are working on changing the name to something like "THC+CBD". Again, what Biotrack calls "Total Cannabinoid" is actually just THCmax + CBDmax. Due to recent changes to the Traceability system, there are sometimes slight discrepancies between the totals listed in Traceability and totals measured by the lab. This is another bug in the Biotrack software, and is due to slight rounding differences between their software and ours. We are not going to change the way our software calculates totals, because our values are the correct values, and indeed the law states that the values reported by the lab on the Certificate of Analysis are the official values. The differences in rounding never affect more than the last digit of the value, which is only 1/10th of one percent or less, so the actual impact is rather small. We hope these updates to our certificates will help to make it more readable and presentable. As always, we appreciate feedback. Interested in Product Transport and Warehousing? The results of this survey will be anonymous. Rest assured that your contact info and other identifiable information will not be shared with Bodega Services without your consent. Specifically, we will not share your information with Bodega unless you enter your email address into the last question of the survey (which is optional). The survey form is managed by Confidence, and only the answers to the survey (not IP addresses or other identifiable information) will be shared with Bodega. Following recommendations by the QA Work Group (an LCB sponsored think-tank composed of labs, producers, processors, retailers, WSDA, DOH, DOE, and outside interest groups) the LCB has proposed some major revisions to the rules related to testing and labeling. Revisions to the testing rules are far overdue. These revisions represent the culmination of serious effort by many stakeholders to improve the testing paradigm in our industry. Sample the population such that variance can be described. See Sampling Cannabis for Analytical Purposes to learn more. These changes are likely to make our testing industry more transparent, more repeatable, and more honest. Such dramatic changes will not come quick. It will be at least 4 months before a CR103 is filed and these rules become effective. In the meantime, if you have recommendations please get in touch. Your lab is advocating for you. Want to Test it Yourself? Confidence Analytics is selling one of our HPLC-DAD instruments. This is the gold standard in cannabinoid analytics, and you could have one at your operation. We are selling the full-stack including: autosampler, mixer, degasser, quaternary pump, thermostated column compartment, diode array detector, computer and chemstation controller software. We can also provide reagents, consumables, calibration, method, training and support to use the instrument for precision cannabinoid analysis on a routine basis. We'll show you how it works! It's an Agilent 1100 Series HPLC. A very capable and versatile instrument that is built to last and has been well maintained. We are replacing it with a newer model, and no longer have need for it. The instrument has and continues to perform well, having tested over 10,000 cannabis samples successfully... and counting. It is calibrated for THC, CBD, CBG, the acid forms of all three, CBC, and CBN, and you could add others at your expense. It is capable of testing flower and concentrates with a method that is reasonably straightforward. Edibles and topicals are also doable, through require more operator training, scientific savvy, reagent use, and equipment maintenance. You won't be able to use the instrument for QA testing in traceability, unless your business is accredited as a cannabis laboratory. Otherwise, it would be for onsite R&D testing purposes only. Please call to inquire. Confidence Analytics is now equiped to test for medical harvests under the new DOH rules. Sample Size and Protocol. LCB Rule Change. The WSLCB enacted a set of emergency rules to take effect on June 18th, 2016, which includes a sample size minimum for flower of 4 grams. The rule also describes requirements for randomization of sample selection, more details can be found on our website, and the WSLCB's Recently Adopted Rules under "-2015 Marijuana Legislation Implementation (Effective June 18, 2016)." To avoid delaying results, please be ready to provide 4 gram samples by June 18th. Confidence Analytics is Now Testing for Pesticides. After manufacturer installation, onsite validation to factory specifications, extensive calibration and method development, and a lot fo hard work, Confidence Analytics is proud to offer the Northwest a highly advanced technology capable of detecting pesticides and drug compounds of interest with extreme sensitivity. Read more on our Pesticide FAQ page. The WSLCB's recent emergency rules describe action levels for pesticide residues, whereby detection above these levels could be cause for a recall. The rules do not mandate pesticide testing, nor do the rules mandate reporting of pesticide test results. Until further rules are enacted, pesticide testing is optional and neither the laboratory nor the recipient of the data is required to report the results to anyone. Now is your window to find out what your baseline pesticide levels are before mandatory testing and reporting become a reality. If you are a processor who makes concentrates, you should consider spot checking some of your starting material.